A light-hearted approach to a tiny early wildflower. The white petals have a network of fine red lines – in the quilt, a combination of a stripey batik and red machine quilting. 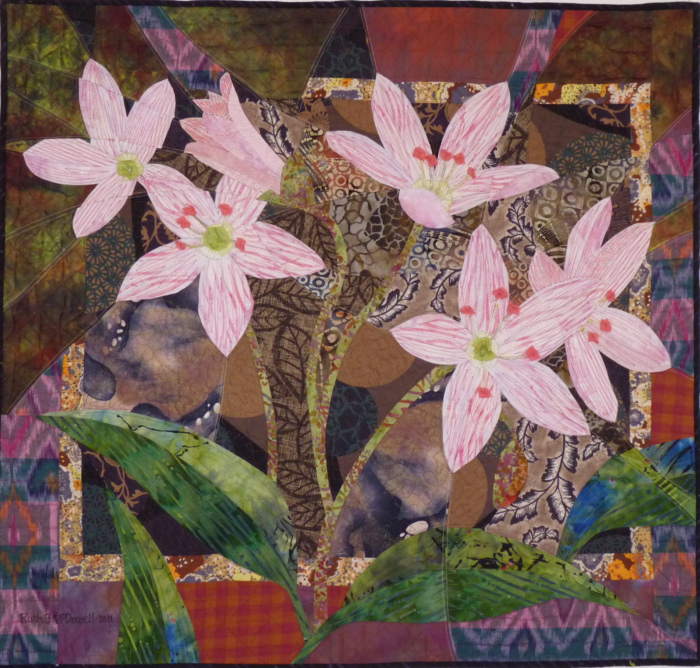 Five pink anthers were added as raw-edge appliqués. They bloom among the fallen leaves of the previous year and bright green mosses on a woodland bank beside a country lane. Look carefully, because the plant is only 6 inches high, and they bloom for only a short time as the weather begins to warm.